First off I want to thank everyone that came to this year's Las Vegas Open and made it such an amazing event. Without you guys it would never be so great. Also a huge thanks to all my Judges, PG's and helpers that made everything run smoothly and helped me keep my sanity over the weekend. There was an amazing turn out this year and FAT matts as far as the eye can see. Over the weekend we recorded a bunch of games and RFP Pressganged the Frontline Gaming streaming rig into the service of the Dragon Father. Big thanks to Charles (Omnus), Emanuel Class and anyone else that helped for casting the games. But I know you did it just to play with the streaming toys! The rest of the matches were captured by our friends at Frontier Gaming. Please visit their channel for streams of the games. They are being edited and posted. Here are the results from the various tournaments over the weekend. 1st Place, Team "You can't ban awesome"
2nd Place, Team "That's Complicated"
3rd Place, Team "Fontier Gaming"
Qualified people going into Sunday Masters. Congrats to all our winner over the weekend, including the piles of raffle loot! Hopefully everyone had a good time and we will see you again. LVO is just going to get bigger and better! I have already started planning. Out of town for Las Vegas Open! I will be out of town till Feb 8th. I may be able to answer emails periodically while gone. Anything from the store will be going out once I get back. I hope to see some of you at LVO! Come join us at this year's LVO! 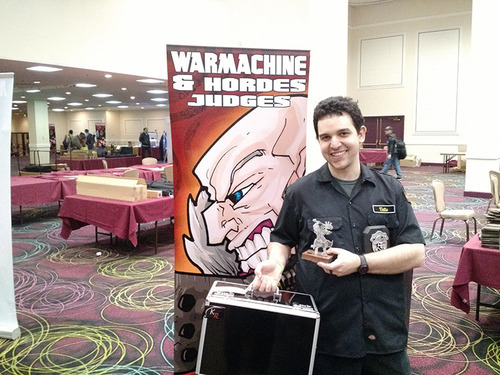 See https://www.frontlinegaming.org/las-vegas-open-2016/lvo-2016-warmachine-events/ for more information. 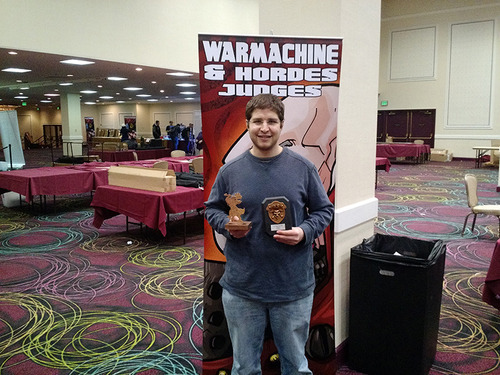 Phoenix Open WMW Qualifier Tournament. Phoenix Open was Sept. 5th-7th. I was recruited to help run the event along with William Rutan. We both had a great time seeing everyone and watching them test their prowess against each other! We had a total of 44 players. The first day everyone played in the masters qualifier. 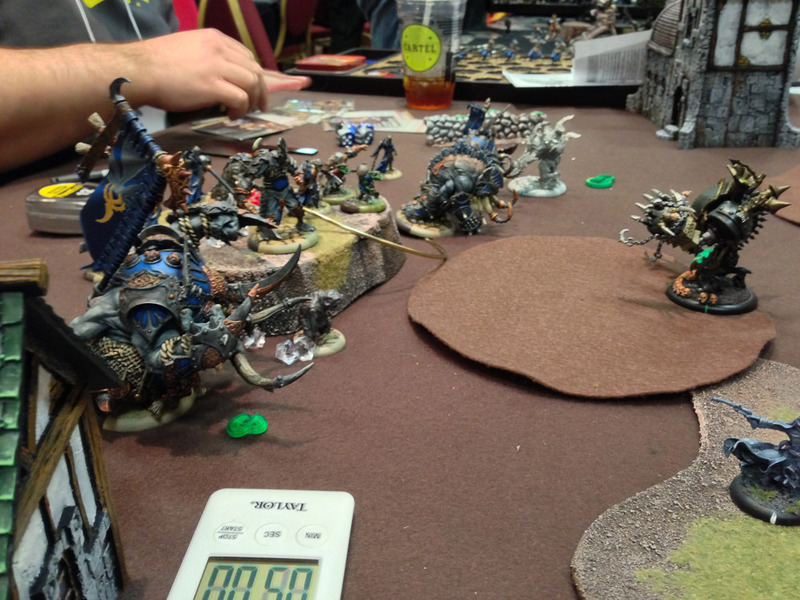 Day two consisted of an eight man finals and a 35 point tournament for everyone else. 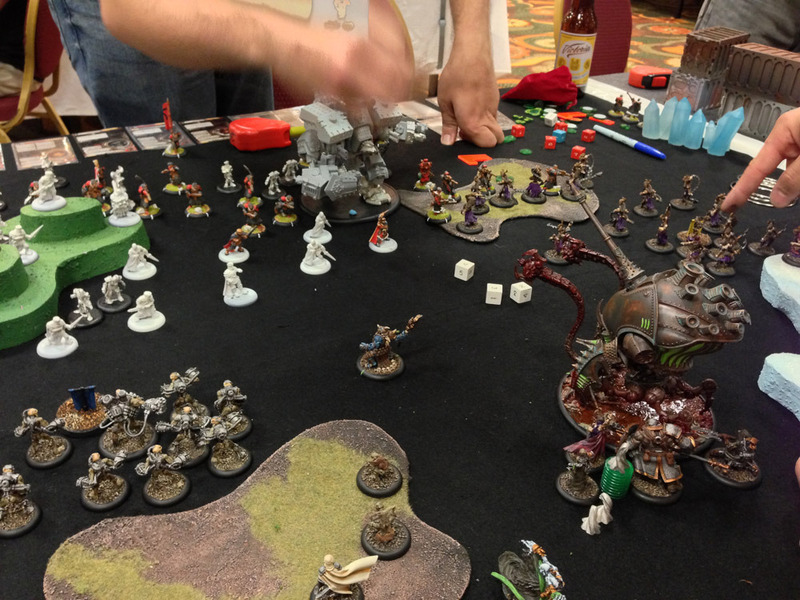 Ending day one, we had eight people move onto Masters Finials. Going into Sundays Masters Finals was a tough field. At the end of the day Brian Marino was able to pull through for the big win. Though luckily for Dan Yount both Brian and Bret are already qualified, so the invitational ticket fell to third place. We had a TON of prize support. Over $800 for the weekend. I want to thank Imperial Outpost for graciously hosting the event and for providing such great prize support. Also Broken Egg games for providing $100 in gift certificates and Black Sheep Industries for $200 that were given out to random participants. I want to thank everyone that took the time to come out and participate. 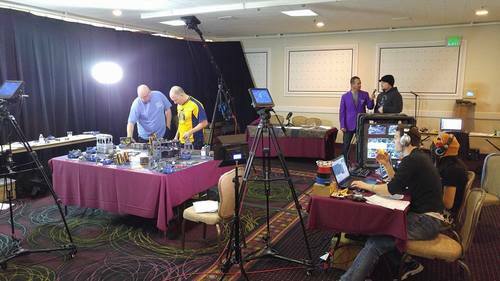 I had a great time seeing everyone I and hope to see some of you at LVO! Finally back from Duel Con. I had an awesome time and met some great people. Thank you to everyone that was able to make it and I look forward to seeing you guys next year. Here are a fwe pictures from the con.